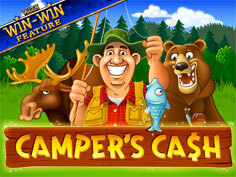 Overview: Not keen on camping out in the wild? 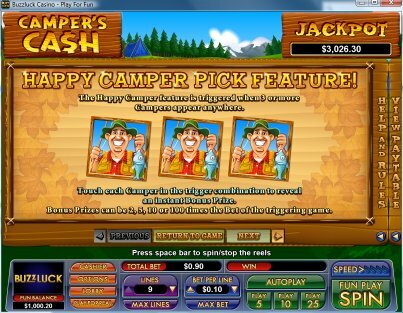 Relax and unwind as you explore the many adventures of what Camper's Cash has to offer in this new 9-line slot from Nuworks Gaming. 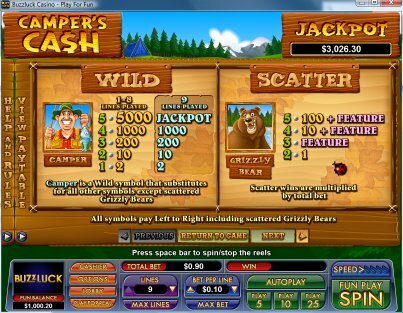 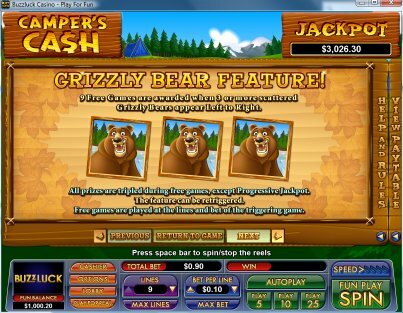 The Happy Camper Pick Feature gives players chances at winning instant Bonus Prizes and the Grizzly Bear Feature can award free games with all prizes tripled! 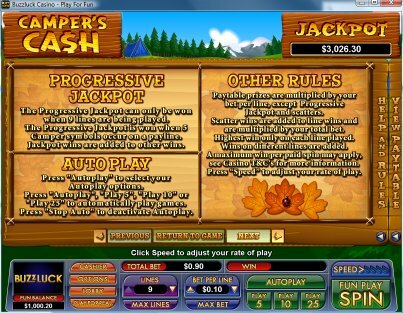 Spin up 5 Camper symbols on a played line to win the Camper's Cash Progressive Jackpot! 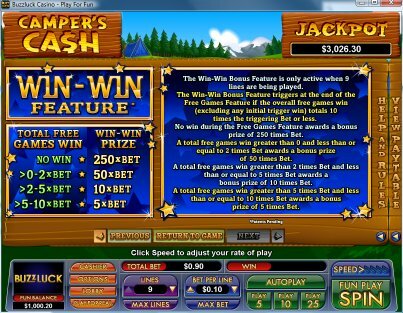 This game also offers the fantastic Win-Win feature, which ensures that even the smallest feature wins will be transformed into a worthy prize. 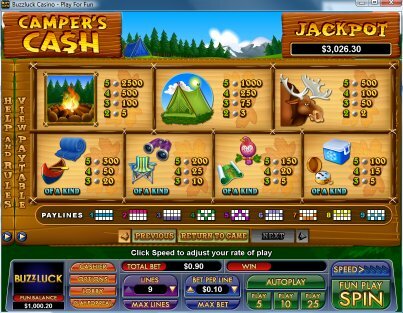 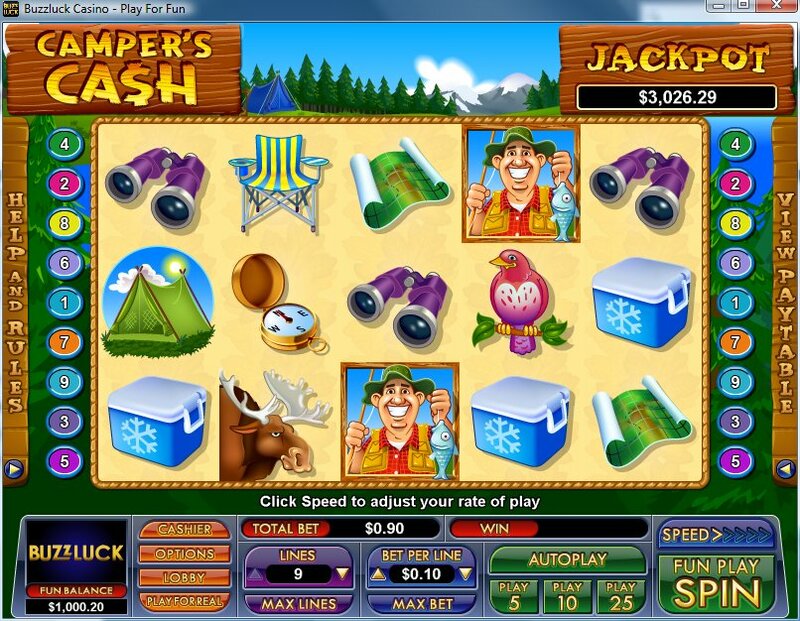 Similar Slots: If you like Camper's Cash, you might like these other slot machines from NuWorks: Batter Up, Greek Goddess, Lucky Numbers, The Champ, Win Big!.